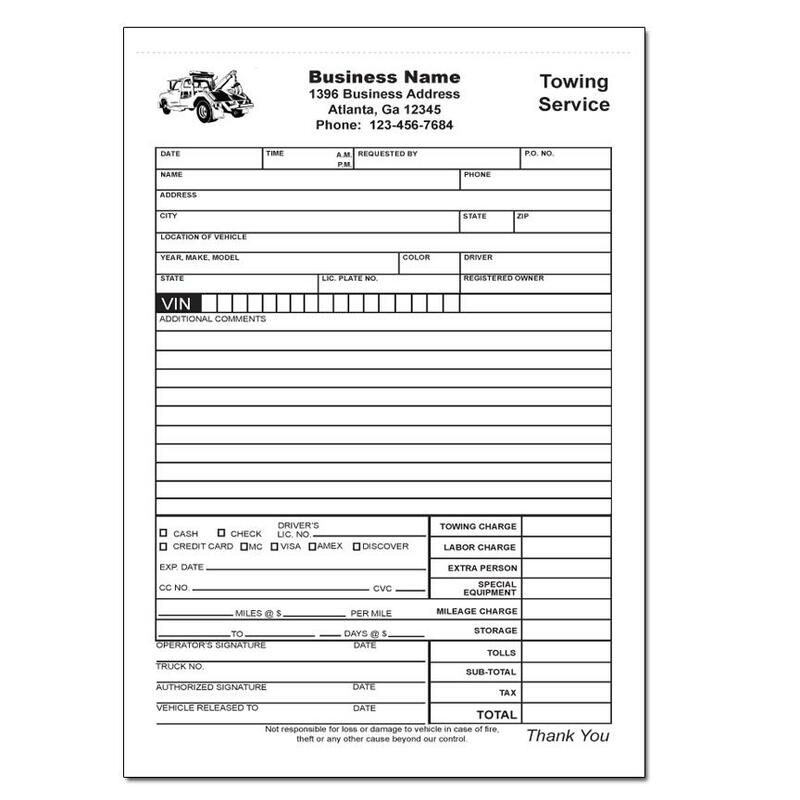 Towing company receipt is used by tow truck drivers all over the USA in cities like Atlanta, Houston, Los Angeles to name a few. 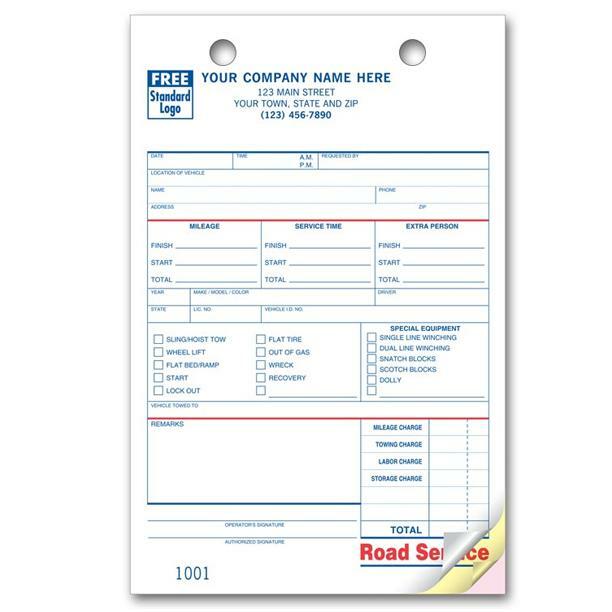 Each template is designed to make the job more efficient and simple. They are printed on carbonless paper and cut in a small compact size. 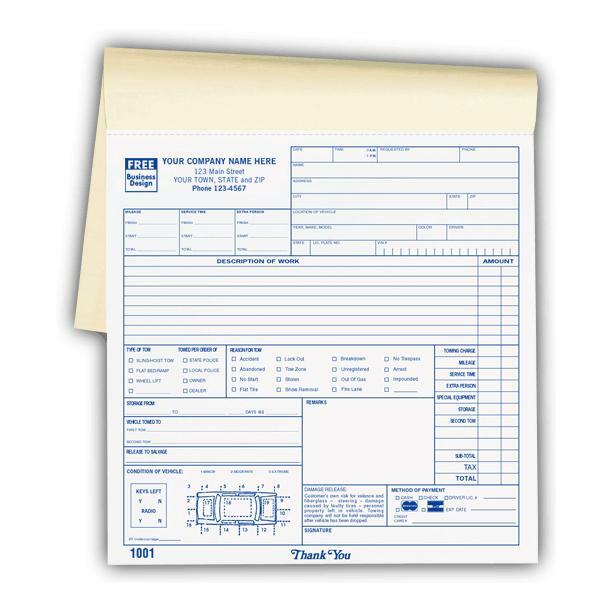 You have many options to customize these receipts like numbering, add you company name , address and logo, perforations and making them in a booklet format. 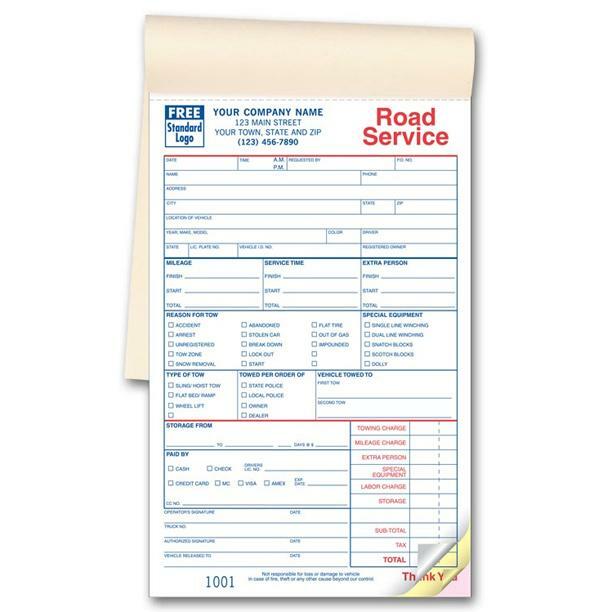 We keep our prices very low, 250 receipts for $67.00. Order online now or request a price quote if your would like a larger quantity, different size or colors.